SECOLAS has extended the deadline until April 30 for students who presented at the Oaxaca meeting. The top three submissions selected by the committee will receive the Richmond Brown Student Travel Grant for the 2020 meeting in Austin, Texas. The top paper from this three will receive the Edward Moseley Student Paper Award, also announced at the 2020 meeting. Martin A. Nesvig of the University of Miami earned an honorable mention for his book entitled Promiscuous Power: An Unorthodox History of New Spain from the Alfred B. Thomas Book Award Committee. On Wednesday, March 27, attendees of the 66th annual meeting will have the opportunity to join Fundación En Vía, a non-profit organization that works to empower women to better support themselves and their families. We use funds generated through responsible tourism to provide interest-free loans and educational programs to entrepreneurial women in 5 communities in the Tlacolula Valley of Oaxaca, Mexico. 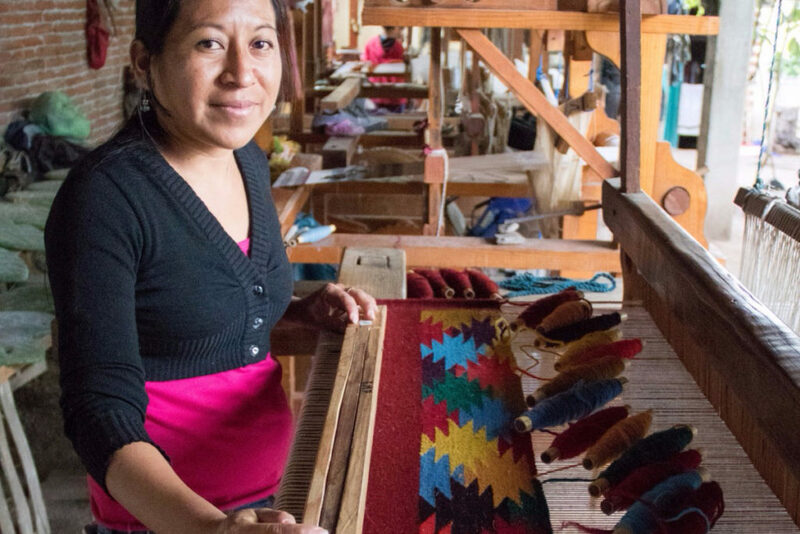 The organization’s tours offer a unique glimpse into life in Oaxaca through the perspective of individual artisans and business women. We visit small communities just outside of the city of Oaxaca where you will meet hard-working, optimistic, and problem-solving women who are part of En Vía’s microloan program. You will hear directly from these women about their businesses, their communities, and their experiences with micro-finance. The tours highlight artisanal trades, traditional foods, local economy, and of course En Vía’s micro-finance model. Participants will gain not only a better understanding of the challenges of life here – in the second poorest state of Mexico – but also help provide a viable path out of poverty. We use your tour donation to fund our loan and education programs. For further information, contact us at secolas-org@uncc.edu. If you arrive in Oaxaca early or stay late, we have some excursion opportunities for your consideration. Click here for further information about Fundación En Vía. Registration for these excursions will close on Friday, March 8, 2019. Registration for Oaxaca 2019 is now open! ¡Oye! Conference registration is now open for Oaxaca 2019. Complete the conference registration form. Pay your conference registration fees here. faculty, independent scholars, and university staff based in the U.S.
scholars based outside of the U.S.